to find out why we are one of Surrey's favourite guttering service. 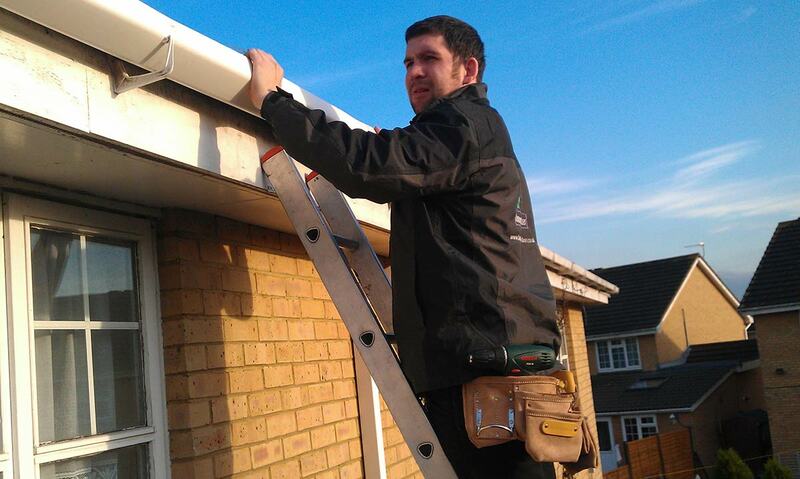 We offer the residents of Surrey with a professional, affordable and reliable complete Guttering service. With over 12 Years experience we have all the knowledge and the tools needed for gutter cleaning, repairs and installation work. 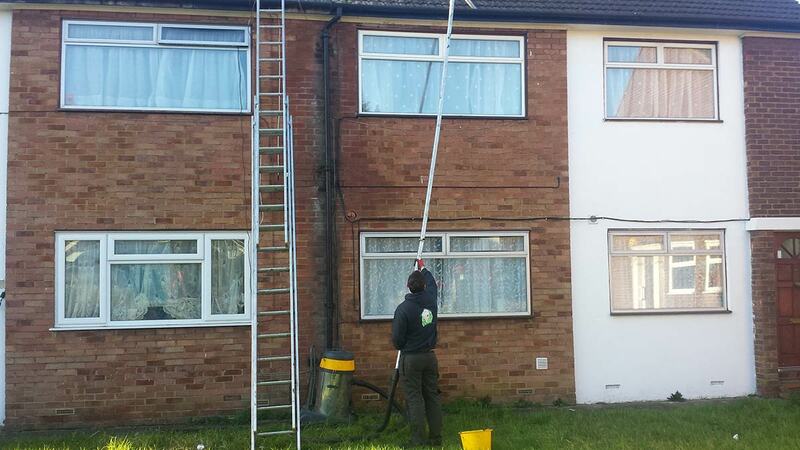 We use all different methods to clean and repair gutters using equipment like the gutter vacuum which makes accessing those hard to reach areas effortless, we also use ladders, scaffolding and cherry pickers for cleans, repairs and replacement. As you may well know fully functioning gutters are vital in protecting your house from damp and water damage. The sooner a fault with your guttering is dealt with the better, water running over a wall for a long period of time will not only cause you damp but will damage your properties foundations, potentially costing thousands to repair, when you compare this to the price of cleaning and repairing gutters it’s a fraction of the cost. It’s recommended to your gutters are cleaned yearly sometimes even more regular if you have a lot of moss on your roof or trees in the near vicinity of your property. We will also give you a free roof report after cleaning or repairing your gutters, so you can have complete peace of mind your property is protected. 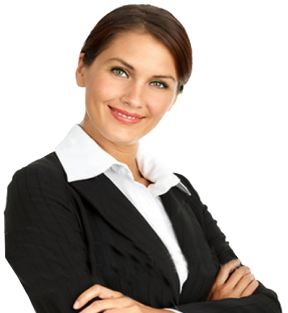 Why choose our Surrey gutter cleaning service? Our surrey gutter cleaning staff are trained to clean gutters thoroughly, this means we won’t just clean whats visible will check the downpipes and the general condition of your gutters. Should we suspect a leak or a rubber has perished in a joiner, end cap or outlet etc we will seal or replace it free of charge! We offer our gutter cleaning services to all Surrey residents whether it’s a small domestic property or a large industrial building our staff are on hand to help. Why choose our Surrey gutter repair service? We won’t just stop leaks we will fix them properly, a lot of the time we hear our competitors have repaired a faulty gutter only for the leak to materialise again a month or 2 later. We asses the gutters and see what sort of repair is needed, we only use quality sealants such as CT1 to seal the guttering or if we suspect it needs to be replaced we carry most brands and shapes of guttering on board our vans. 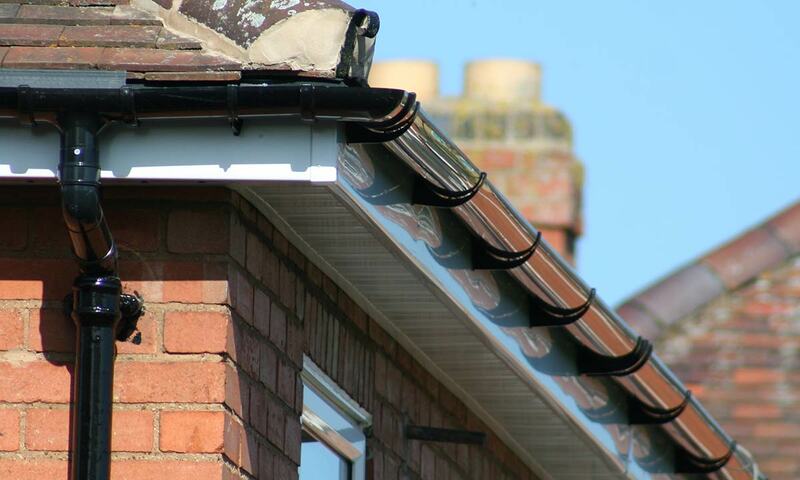 Why Choose our Surrey gutter replacement service? When you’re thinking of getting new gutters installed its always important to find a quality and trustworthy company, we don’t just put gutters up we take our time installing and aligning them correctly starting from a high point giving them a slight run to the low point where the downpipe is located. This is to make sure the rainwater and debris from your roof make it towards the downpipe. This ultimately will make your gutters last longer as there is no water in them to perish your rubbers and save you money on gutter cleaning as they won’t need cleaning as regularly. We give 10 years guarantees to all our Surrey gutter replacement customers as standard. 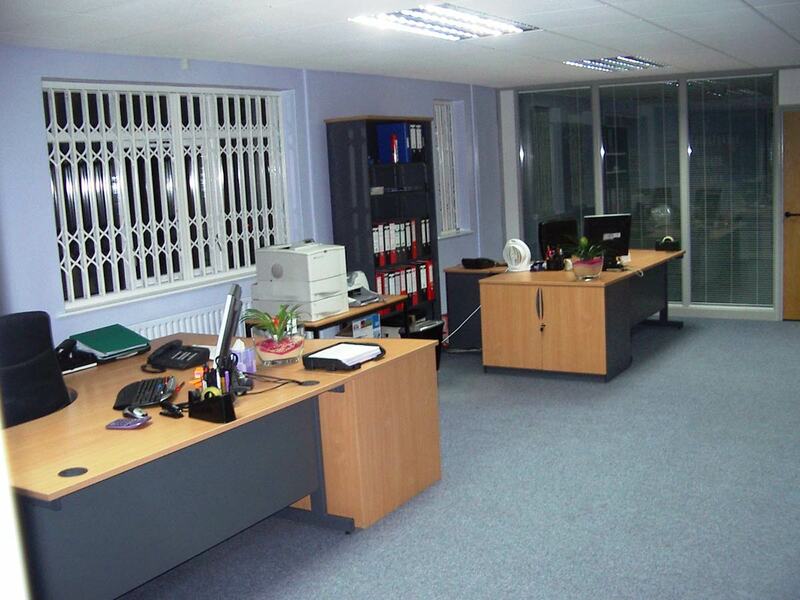 All our staff are fully insured and carry workers IDS for Customers peace of mind. We regularly check our competitors prices making sure our customers get great value for money, so don’t delay Contact US today for your free no obligation quote.